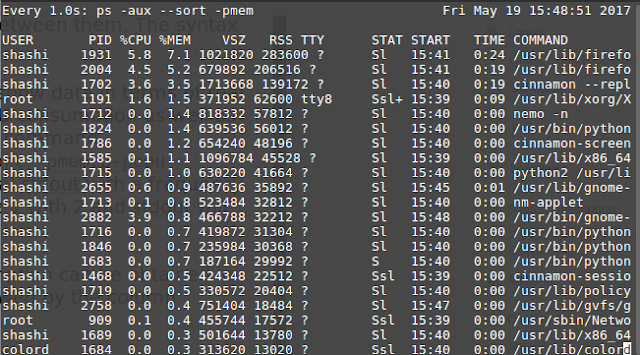 PS command displays directly the processes running within the linux system. However these aren’t repetitive. One only gets the update of that very moment when this command is executed. To get the continuous update we use top command. The command also provides us the PIDs of the particular process. 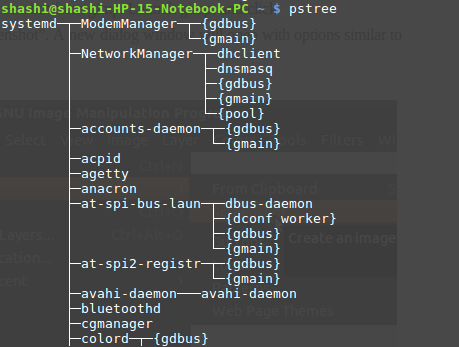 When executed in bash or terminal, the command ps will show four coloumns. The first one refers to the PID (Process Identification Numbers) . The second column is a TTY (Terminal type). 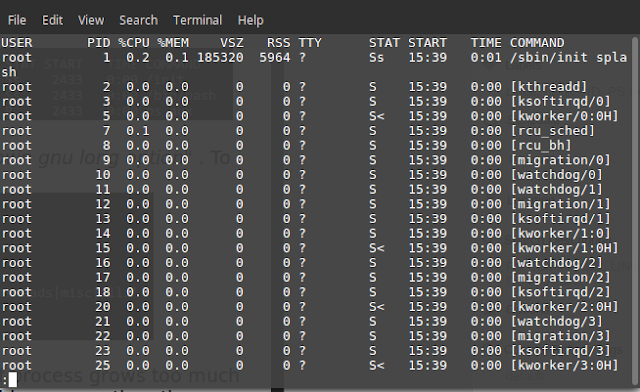 The third column is TIME which shows the amount of CPU time that each process has taken. It may show zero if running Bash for Windows on Windows 10 like mine. The final column is the CMD which shows the command which has called the ongoing process. The aux command has 3 definitions here. It is the a, u, and x. What a refers here is to list all processes, including current user as well as all the users who are currently on that system. The user can execute the command ps –u to see the users i.e. all users currently on the system. So Run to your OS and give it a shot. The –u option gives detail about each process running on system. 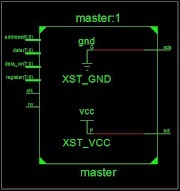 The –x option gives the process which are launched during startup of the machine which are not connected nor called via terminal. Thus one cannot interrupt these process. Here is the detailed screen shot for each of the above commands specified. As we can see the columns, we have a total of eleven. USER - It shows the list of basic users currently on the system. PID - It shows the identification numbers assigned to the particular user. %MEM - It shows the share of RAM being used by the user repsectively for running it's process. VCZ - It is the Virtual Size. It is the basic permissible size for the particular process, including shared memory as well as self running addressing memory and swapped memory. SWAP memory is the memory reserved for OS Linux when RAM gets full, the pages are moved to the SWAP memory. STAT - These are the Linux process State Codes. Press CTRL + Z while running a process and your process will sleep until you resume it. Press CTRL + C and the running process will terminate forcibly. START - The time at which the process started. COMMAND - It shows the command executed by the user which has called that particular process alive. TIME - It shows the duration of time that has passed while the process got activated. 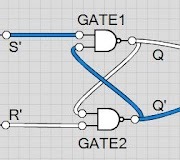 Enter the PID and one will get the threading of any particular process. 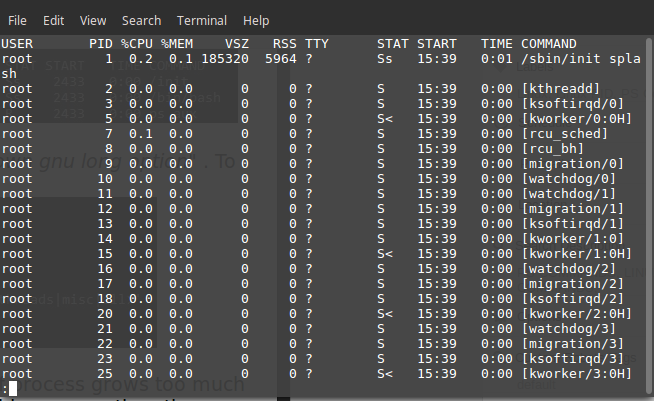 NOTE - The -e command just shows the total process running, the -f command shows details about that particular process, the -u command is for the user. PS REAL TIME task manager - This will show data in terms of real time data with memory consumption, CPU consumption as well as location. It can be achieved by the watch command. 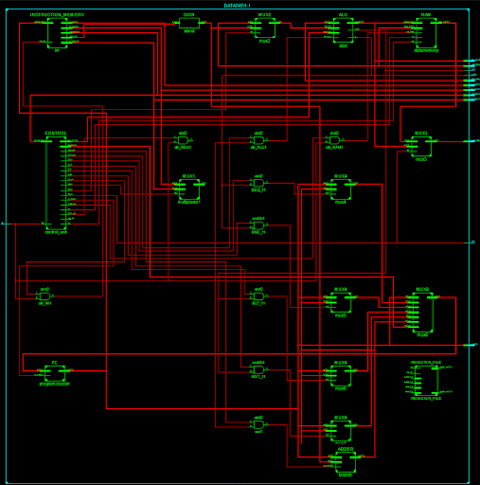 Here the integer 1 will update the terminal stdout with a frequency of 1Hz i.e. after every 1 seconds. Replace 1 with 2 and stdout will be updated in every 2 seconds. SORT PS - The process data and consumption can be obtained in sorted form by using --sort keyword followed by the column category which we want to be sorted. Note - PS Commands can also be used here without the hyphen or 'dash'. With dash these commands are of UNIX style and without dash these commands are of BSD style and with two dash these are of GNU style. Try running the command ps aux and you would get this output. PS WITH PIPELINE When the number of process grows too much in number and cannot be fit on your machine screen then the command ps aux | less can be used. Press your spacebar button to see the next entries. Thus these commands are enough to get information about your process's details on your machine.